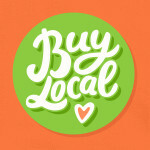 At Hawaii’s Local Buzz, we believe it’s important to support our local community. The Ka’u district on the Big Island of Hawaii is an economically challenged area with few jobs and few opportunities for the folks who live here to make money and support their families, especially without having to drive 120+ miles each day. According to a study done in 2009, app. 24% of the people in Ka’u were living below the poverty line. We know that will come as a surprise to many who assume that only the very affluent live here. Certainly there are many affluent folks with homes or condos in Hawaii, but most don’t live in the agricultural zones in the state. The mission statement for Hawaii’s Local Buzz focuses on three things. First, we believe in keeping our money in the community by employing local residents, by using only 100% Hawaiian coffee and macadamia nuts in our products, and by sharing our financial success with those farmers with whom we partner. Second, we believe in using growing methods that protect and respect the ‘aina (the land). And third, we are committed to only selling products that are so good that, from the very first taste, you regret ever having to finish. The price we pay as a producer of fine artisanal foods and coffee made from the raw ingredients grown, processed and packaged right here on the Big Island is very small profit margins. The coffee we grow here in Hawaii is the only coffee grown in the USA. In Hawaii we’ve seen a number of our biggest businesses and largest employers in the agricultural sector essentially abandon the state, replacing locally grown ingredients like macadamia nuts and coffee with ingredients grown in third world countries for economic reasons. Sometimes they do this while still giving consumers the impression that the products they’re buying are genuinely Hawaii-grown. We’ve also seen the demise of agricultural sectors that, for many, have defined the very essence of Hawaii. Most of the pineapple packaged by Dole and Del Monte actually comes from Central and South America. Many of the largest Kona coffee brands are marketing 10% Kona blends (or, more accurately, 90% non-Hawaiian blends) in an effort to keep their coffee competitively priced with coffee grown overseas. And we have just recently heard the announcement that the last sugar plantation in the state will close at the end of 2016. We’d like to think that American consumers value the idea of keeping jobs and money in the US, in communities that need it, rather than shipping jobs and agricultural production overseas. We’d also like to think that the higher quality of the coffee and macadamia nuts grown here in Hawaii is worth the premium price we’re forced to charge, lest we actually lose money on every package of mac nuts or coffee we sell. We’re somewhat puzzled that the enthusiasm coffee consumers have for supporting coffee producing communities often applies only to the coffee producers in South America, Africa and Asia. We’ve written before about the Fair Trade label on coffee and how those of us who grow coffee in Hawaii cannot qualify, because the Fair Trade designation is only available to coffee growers in third world countries. We of course support the efforts to provide overseas growers with a living wage – we just wish that those efforts didn’t exclude the ONLY coffee that is grown right here in the US. When you purchase a product from Hawaii’s Local Buzz, in addition to getting some of the yummiest goodies available anywhere, you can feel good about the fact that your money is helping to provide jobs to folks who need them right here in the US. Thank you so much for keeping the public informed. Those of us who visit and become “hooked” on your wonderful products should be knowledgable in what it is exactly we are paying a premium for. The beautiful lands and people deserve a wage that supports their living; both when families have lived for generations, and for those who are transplanted. It’s good to recognize greatness. Humanity should be appreciated and acknowledged when people elevate those they come into contact with. To live in a paradise and put in a weeks worth of farm labor IS the a’loha spirit felt by visitors world wid and a gift to your community. Thank you so much for taking the time to post your thoughts. We’re blushing a bit at the compliments and greatly appreciate them. We hope we’ll have the chance to see you at the farm again. If you do come visit, be sure to say hi! I’m just back to Canada from my first Hawaiian visit and I have to say your coffee is the BEST I have ever had! So glad I bought the large bag of beans! Certainly something to be proud of! And you and your staff were so friendly and welcoming that we were spreading the word of our unplanned stop at your farm to anyone we could! Well stated. Having become a recent landowner in the South Point area and fan of Bee Meadows, my husband and I purchase only locally grown products. The Kau agricultural area is a very special and blessed place. We must all help to keep the aina prosperous and save for future Hawaiian farmers. Bravo fellow Buzzheads!! Keep the Kau coffee and honey flowing. Mahalo!